Proven Off-Road performance matches up with Special Edition styling and all-new Maxxis 'Zilla Tires to keep Grizzly EPS SE at the top of the rec utility food chain. The best-selling big bore rec utility ATV on the planet, the Grizzly EPS is ideal for taming tough trails in comfort and supreme style. 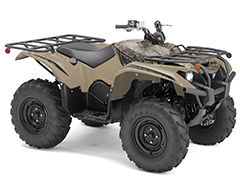 Fun and reliable with classic Grizzly styling, this all-new ATV will have your youth 10-years and up REALizing their Adventure in no time. With eye-catching styling and cast aluminum wheels, the Kodiak 700 EPS Special Edition is ready for a day's work yet still eager to play. The dependable Kodiak 700 EPS boasts On-Command 4WD with diff-lock for the performance you demand on tough trails and challenging jobs. 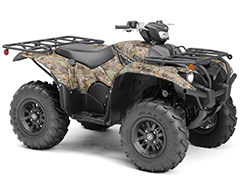 With unmatched comfort, reliability and dependability, the Kodiak 700 delivers value without compromise. 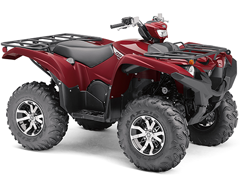 The Special Edition Kodiak 450 EPS is a full-features mid-size machine that is sure to turn the heads of other off-road explorers. 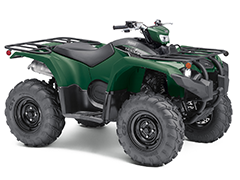 The Kodiak 450 EPS deliver all day comfort and confidence for work or play. The mid-size Kodiak 450 delivers a full-size appetite for working, hunting and REALizing Adventures. 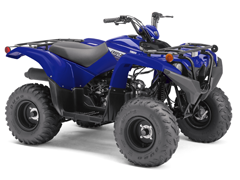 See and ride a Yamaha ATV or SxS at events near you. 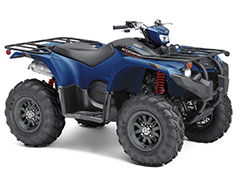 Get fantastic financing and more on Yamaha Utility ATVs. 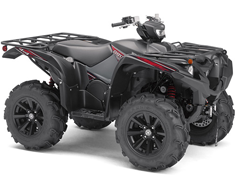 Build and save your dream ATV.